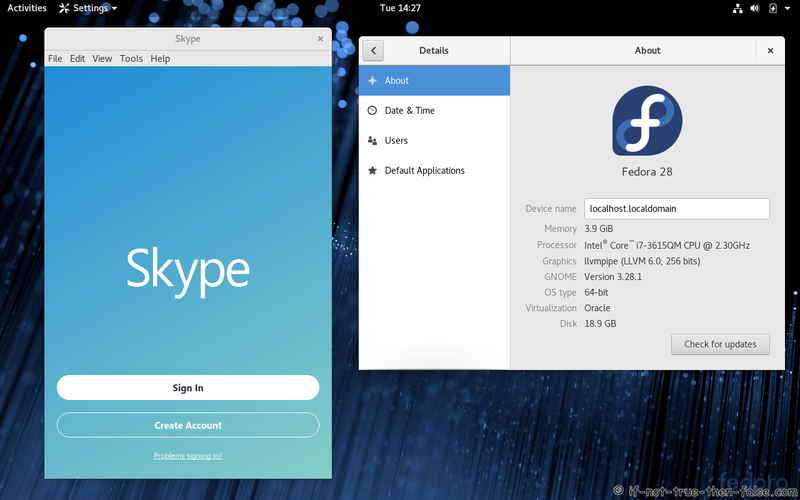 This is guide, howto install Skype 8.33 on Fedora 29/28/27/26 on CentOS/Red Hat (RHEL)/Scientific Linux (SL) 7.5. This is actually easy process, I updated this guide and use Skype own RPM package, because it’s currently only way the install Skype. Skype 4.3 and older versions are outdated after July 1. 2017.